Ashley Allison is executive vice president for campaigns and programs. Allison brings over a decade of outreach, community organizing and campaign experience, along with an expertise in crisis management, coalition building, and strategic planning. From July 2014 to January 2017, she was the deputy director and senior policy advisor under Valerie Jarrett in the White House Office of Public Engagement. Her portfolio included managing a team that worked with the LGBTQ, Muslim, faith, African-American, disability, and entertainment communities. Allison’s primary policy focus at the White House was criminal justice and policing reform. 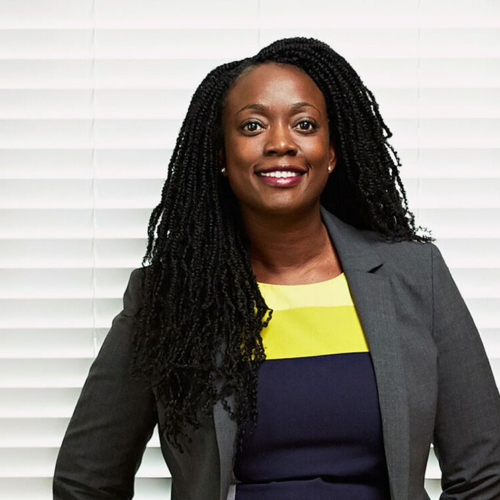 Prior to joining government, she worked on healthcare enrollment and partner engagement at the non-profit Enroll America and on President Obama’s 2012 reelection campaign doing statewide African-American voter outreach in Ohio. Allison is a graduate of Ohio State University. She also spent seven years in New York earning her Juris Doctorate from Brooklyn Law School and Masters in Education from Long Island University while she worked as a high school special education teacher in Brooklyn.